121 Old San Antonio Road in Boerne, Texas. 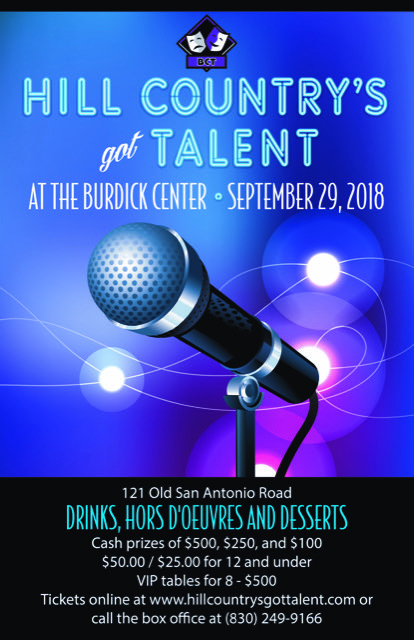 Online sales for BCT's 3rd Annual Hill Country's Got Talent Fundraiser concluded on September 29, 2018. For tickets to upcoming Boerne Community Theatre events please visit our website at http://www.boernetheatre.org/. 121 Old San Antonio Rd.